London, Cairo- DNA from mummies found at a site once known for its cult to the Egyptian god of the afterlife is unwrapping intriguing insight into the people of ancient Egypt, including a surprise discovery that they had scant genetic ties to sub-Saharan Africa. Scientists said they examined genome data from 90 mummies from the Abusir el-Malek archaeological site, located about 115 km south of Cairo, in the most sophisticated genetic study of ancient Egyptians ever conducted. The DNA was extracted from the teeth and bones of mummies from a vast burial ground associated with the green-skinned god Osiris. The oldest were from about 1388 BC during the New Kingdom, a high point in ancient Egyptian influence and culture. The most recent were from about 426 AD, centuries after Egypt had become a Roman Empire province. Archeogeneticist Johannes Krause of the Max Planck Institute for the Science of Human History in Germany, who led the study published in the journal Nature Communications said there has been much discussion about the genetic ancestry of ancient Egyptians. Krause considered that ancient DNA can address those questions. The genomes showed that, unlike modern Egyptians, ancient Egyptians had little to no genetic kinship with sub-Saharan populations, some of which like ancient Ethiopia were known to have had significant interactions with Egypt. The closest genetic ties were to the peoples of the ancient Near East, spanning parts of Iraq and Turkey as well as Palestine, Jordan, Syria and Lebanon. The researchers found genetic continuity spanning the New Kingdom and Roman times, with the amount of sub-Saharan ancestry increasing substantially about 700 years ago, for unclear reasons. “There was no detectable change for those 1,800 years of Egyptian history,” Krause said, adding the big change happened between then and now. The former director of Luxor Mummification Museum told the German News Agency that such researches are fake and that their announced results are politicized. He alleged that a team of German researchers from Jewish roots cooperates with research institutes funded by Israel and an Israeli-friendly lobby works on publishing scientific results that aim to distort Egypt’s civilization, history, and its advancement in many fields. 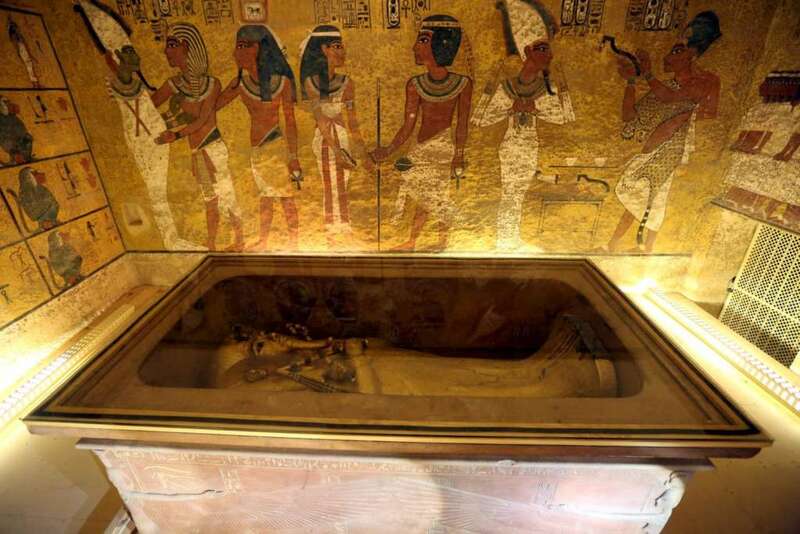 The former director said a former European study alleged that the gold pharaoh Tutankhamun is not Egyptian, and that his roots derive from Caucasia. He warned from such researches and the harm they may cause to the reputation of European researches, including Germany and Britain, especially that they are conducted away from the Egyptian researchers and archaeologists, who have developed great experiences in all fields. For his part, gyptian archaeologist Ali Reda told the agency that universities from Japan, Britain, and Germany along with Israel have banks where they preserve cells stolen from mummies of pharaoh, and that those banks which are specialized in analyzing ancient Egyptian mummies. Egyptian researcher Francis Amin explained that many Egyptians are ignoring their ancient history, and that this history’s resources are now captured by European research centers and publication houses. He noted that many researchers and studies on Egyptian mummies are being conducted in many foreign capitals without any coordination with the concerned authorities in Egypt. Asharq Al-Awsat is the world’s premier pan-Arab daily newspaper, printed simultaneously each day on four continents in 14 cities. Launched in London in 1978, Asharq Al-Awsat has established itself as the decisive publication on pan-Arab and international affairs, offering its readers in-depth analysis and exclusive editorials, as well as the most comprehensive coverage of the entire Arab world.